Shade control setting offers a full range of browning options to allow perfect customization of any piece of bread. 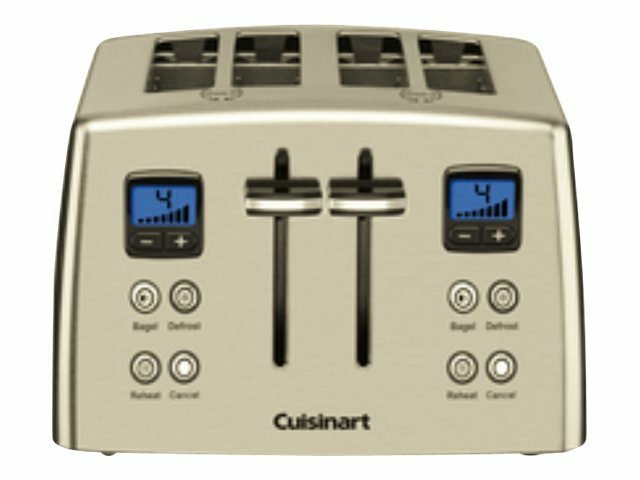 1.5" toaster slots allow for a wide variety of items to be toasted with the Cuisinart Compact Toaster. 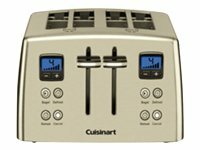 Motorized lift activates with one touch of the toast button. 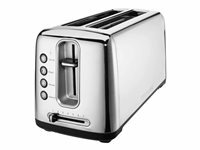 The motor quietly and securely lowers and raises the bread into the toasting chamber. 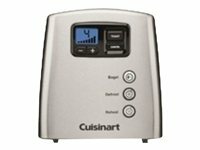 Take toasting to a new level with the stylish stainless 4-slice countdown metal toaster by Cuisinart, featuring generously wide slots to hold toast, English muffins, pastries, and even your favorite bagel halves. 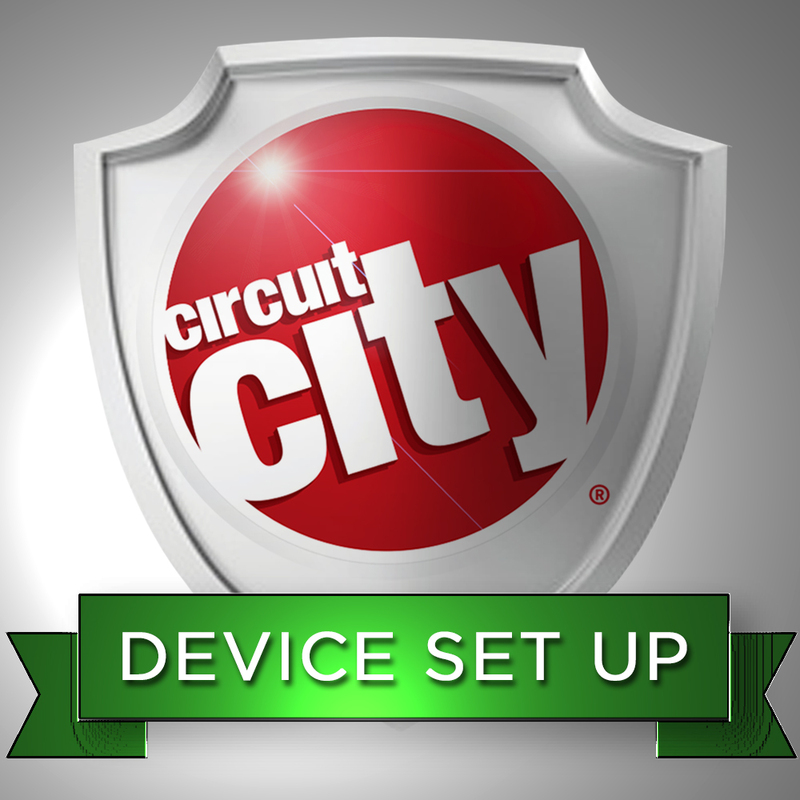 The separate controls mean you can defrost waffles before toasting, reheat toast without burning, and even reduce heat on the uncut side of bagels. 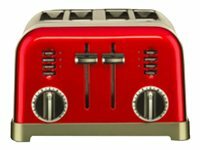 Enjoy your toasting just how you like it with seven browning settings and an LCD countdown toasting-time display.